Here's a review of a real tape echo and spring reverb studio effect, the Dynacord Echocord Super 76. One of the Backstage Pass subscriber, Philippe, who is very good at electronics repaired this nice piece of gear and lent it to me. It's quite something to experience for the first time ever to play with a real tape echo machine. I don't know if has to do with being able to see the tape move around, the quality of the sound itself or a mix of both but I was floored by the sound of this unit. The Echocord Super 76 is actually both a tape echo and a spring reverb unit. Here's the video review of the tape echo and reverb unit from Dynacord. It's a blast to record a review with such a cool sound in the headphone! Here's the configuration used for this review. My guitar (my trusty Monster Relic Strat with Hepcat pickups) is plugged in the Dynacord all the times. There is no bypass engaged so the direct sound of the guitar is always affected by the Dynacord unit even when the effect balance is on zero. The magic of looking at the tape! Yes, I must admit. Unless you have actually played at least once with a tape echo, you lose something. 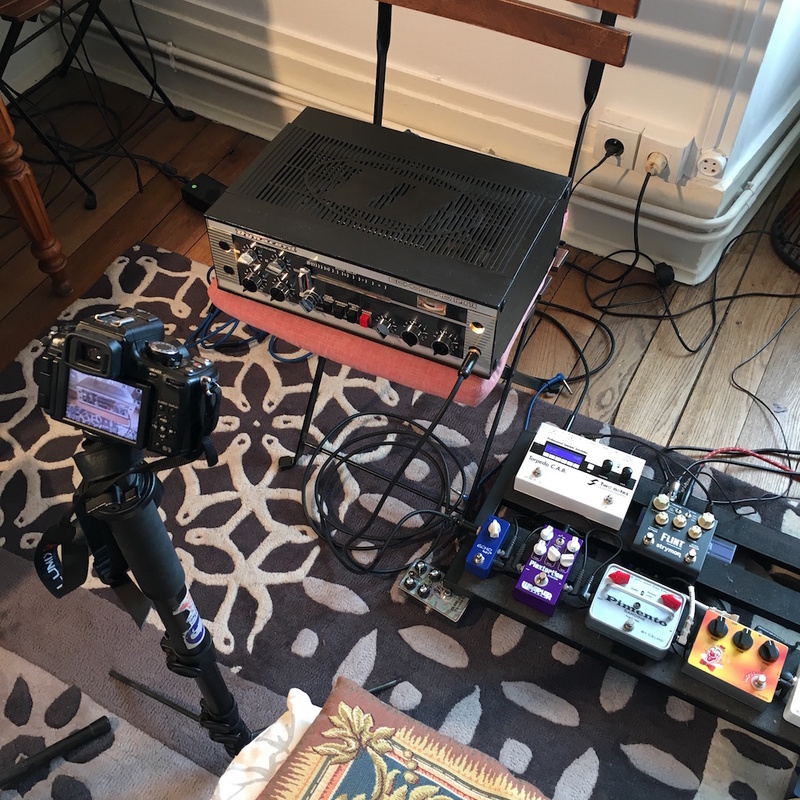 I really think that the latest version of the digital version of a quality pedal is now excellent but when you compared it to the real deal, there is a gap. Maybe it has to do with actually seeing your sound being moved around on tape, maybe it's all in my head, maybe it's because this Dynacord is a high quality analog studio piece of gear but the sound is there. @ZaneCarney interview: a solo european tour for 2015!